Happy Saturday everyone! It's been quite a while since I've talked about the From Head To Toe Youtube channel so I thought I'd do a little Weekend Roundup of what's been going on over there lately. When I started I never, ever thought my channel would get to this point and I'm still so, so grateful everyday for the awesomeness that is you. So first of all, THANK YOU!!! If you guys want to subscribe you can click here or head on over to my channel page to see my latest videos. I post some of them here but many are channel exclusives so it's good to pop over there once in a while so you don't miss any updates! As for what I've been doing lately, I've gone full swing into Back-To-School season. Since I myself am out of school, to me that means the kickoff of fall fashion and a return to basics for makeup. Sometimes it's good to refresh routines in preparation for the changing weather ahead. For BTS seasons (or as I like to think of it, pre-Fall) I put together 4 outfit ideas to inspire those of us who want to transition into longer knits and light layers. Back-to-School doesn't need to mean sweats everyday! And because I had so much fun on my first trip to Vegas recently (you may remember the new boyfriend I met there if you follow my Instagram) I was inspired to create an easy but gorgeous smoky eye with silver glitter. The extra hint of glitz is perfect for a night out or seeing your favorite artist in concert. Believe in yourself first. Love yourself as you are today. Don't let anyone else define beauty, but adorn the beauty that comes from the heart and everyone will see it. Love you all, my dear friends, so much. Please let me know in the comments which of my past videos are your favorites and if you have any suggestions for future vids or blog posts you'd like to see! I love that concert look? Did you get eyelash extensions? Your eyelashes are looking super long. If so, I'd love to read a post about your experience with them. I want to get them myself but they are pretty pricey and I'm wondering if it's worth it. Ah, so great to hear which ones you love watching best! I'll be sure to do more videos for hooded lids. ^_^ Thanks so much for watching! I really like the fact that everything is organised on your blog, especially in the case of your video tutorials where it's really handy to have a blog post with the product list, photos and extra tips. It was really helpful to me as a newbie to read such posts and attempt to reproduce your looks. I also really enjoy your reviews, they are really detailed with high quality photos, comparisons with other products and honest reviews. It's a breath of fresh air to get such reviews so that the reader can decide whether they need the item or not. Personally, I really love your fashion hauls and lookbooks. Those are definitely my favourite. I'm always really curious on what are the current trends on how to incorporate them in your daily wardrobe so I am excited to see these kind of videos. 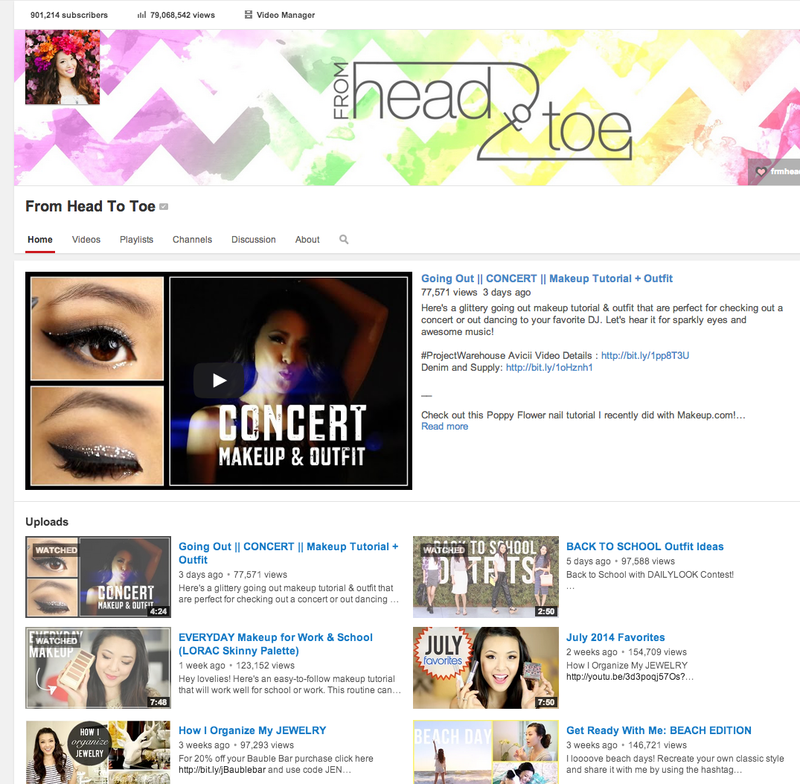 Naturally I am also very fond of your new videos, especially beauty hauls, beauty favourites and hair tutorials. What I would really love to see would be some vlogs or photos of your travels, especially nature scenes. It would be an interesting dimension to add to your channel. It seems like you travel a lot to some really amazing places and that would be really great to see :) I also really loved your non-beauty recommendations and really enjoyed seeing a small personal side of you from these videos in your From Jen channel. I'm a relatively new subscriber, but a huge fan. Being a Korean girl and a beauty junkie, it's tough to find a really good "makeup guru" who does a lot of monolid and Asian skin related videos. So thank you for that! You have become my official go-to for anything beauty-related. It's actually embarrassing how much I rely on you (I'm talking about tutorials and all products, down to the shade and the brush!). Luckily we have similar skin tones as well so it's basically like you have done all the research for me already and I don't even need to try anything on. Out of all the videos, I really enjoy the makeup tutorials and the monthly faves where you talk about a lot of products that I really want to try! I also found the hits and misses very helpful. Oh and maybe you could do an updated HG products video? If only I had discovered you before my wedding! Thank you, thank you, thank you for doing what you do for all of us. hai Jen. Im your new fans from Malaysia. I hope you can make video details about the skincare for acne-prone skin. tq.